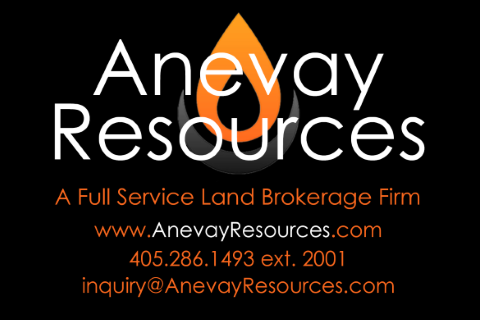 Anevay Resources, LLC is a full-service Oil & Gas Land Brokerage Firm that is native to Oklahoma; however, our clients range from all over the United States! Our goal is to be the most productive and knowledgeable Land Brokerage Company in the energy industry and to consistently exceed our client's expectations. $2,000.00 off of your first month of Brokerage Services with mention of this listing.